So the final night of our Waitangi weekend was spent at another free parking spot provided by the wonderful Western Bay of Plenty District Council. 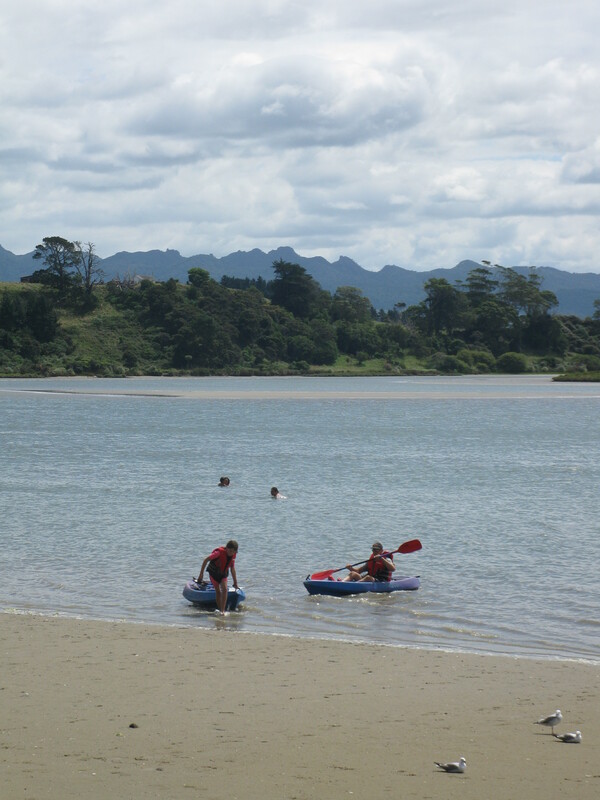 We travelled a little further around the coast line to Pahoia where we parked just a few feet from the shores edge and quickly threw our kayaks into the water for a paddle around. 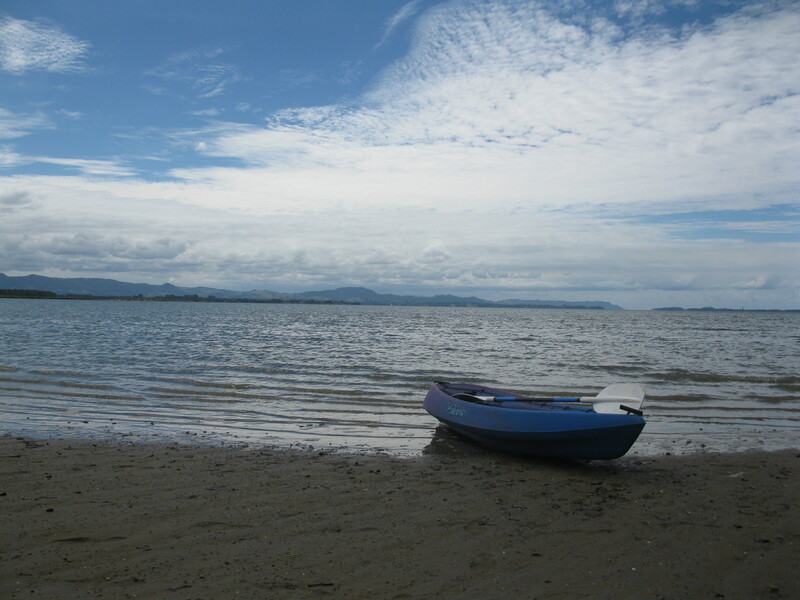 The waters form part of Tauranga harbour – a natural tidal harbour that is effectively two flooded rivers separated from the Pacific by Matakana Island. Close to shore the sheltered stretch of water is very shallow and consequently VERY warm. 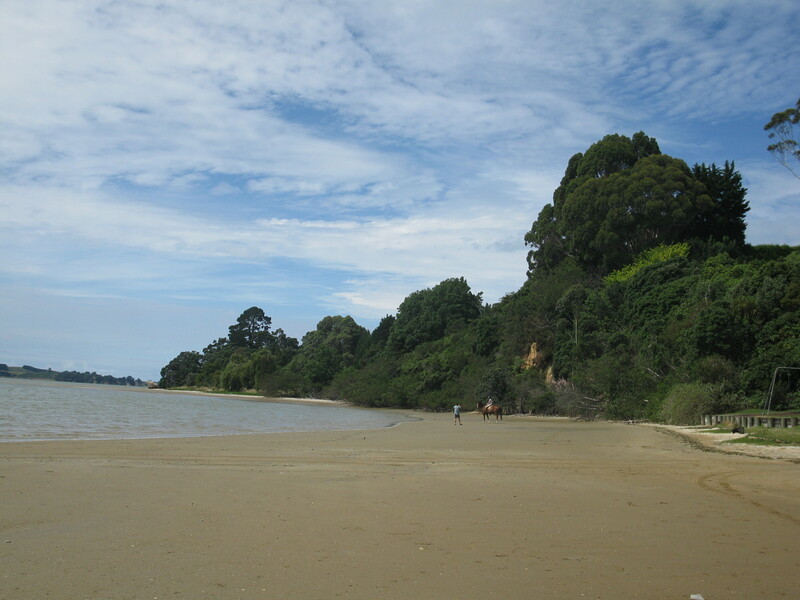 By the time we arrived a full morning of sunshine had warmed the sand and incoming tide. This resulted in a very different facial expression to normal when I dipped my toe cautiously in the water. I approach any body of water with a presumption that it will be freezing (I grew up in the UK after all). So the prepared grimace and tensed body quickly transformed into a ooooooooh mouth, relaxed body and audible sigh. We all spent a pleasant few hours in the water in one form or another. My parents’ inflatable canoe/kayak came out to try the waters. The fishing rods appeared – and disappeared (again… no fish for dinner). And the nine-year-old skipped and frolicked in the water like a happy puppy. 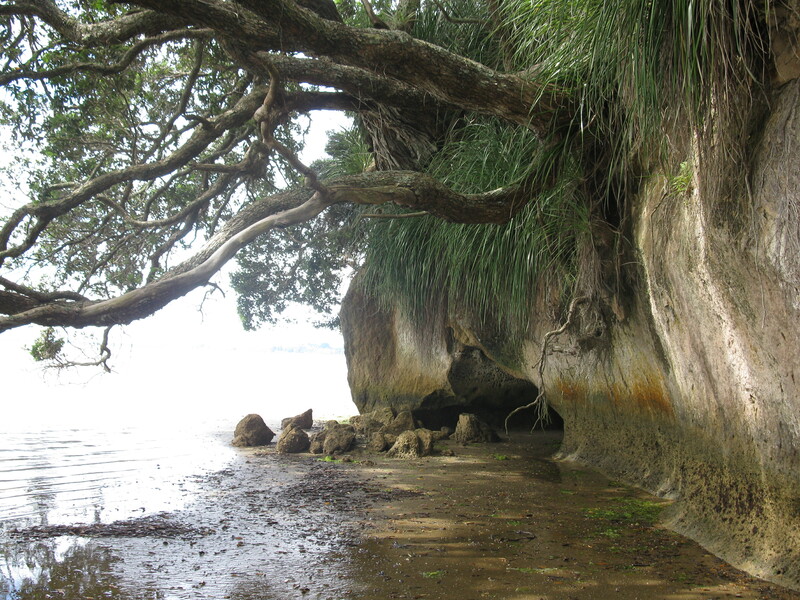 We half kayaked/walked around the headland to see what we would discover. More warm waters. A horse. Beautiful houses overlooking the bay. 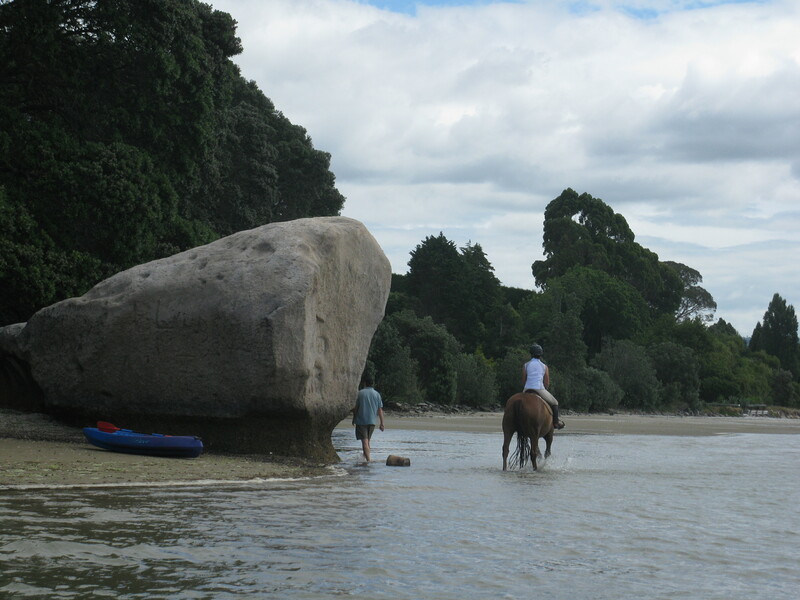 Pohutakawas trailing into the water. No fish. 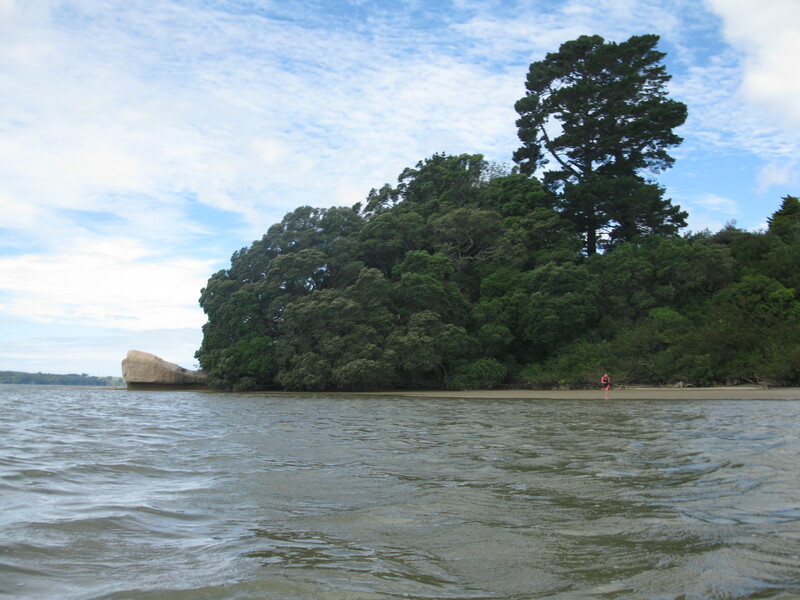 During the day, and night, various fisher-folk came and went from Pahoia. 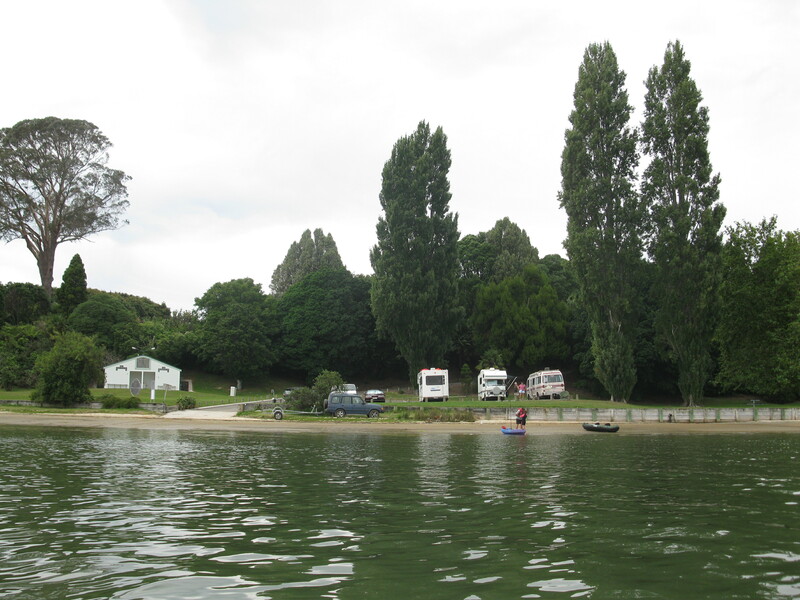 Boats of all shapes and sizes entered and exited via the boat ramp. Folk chatted and compared fishing notes, and if they were lucky enough, catch sizes and gory details. One guy spent all afternoon out in the middle of the estuary in his rowing boat. 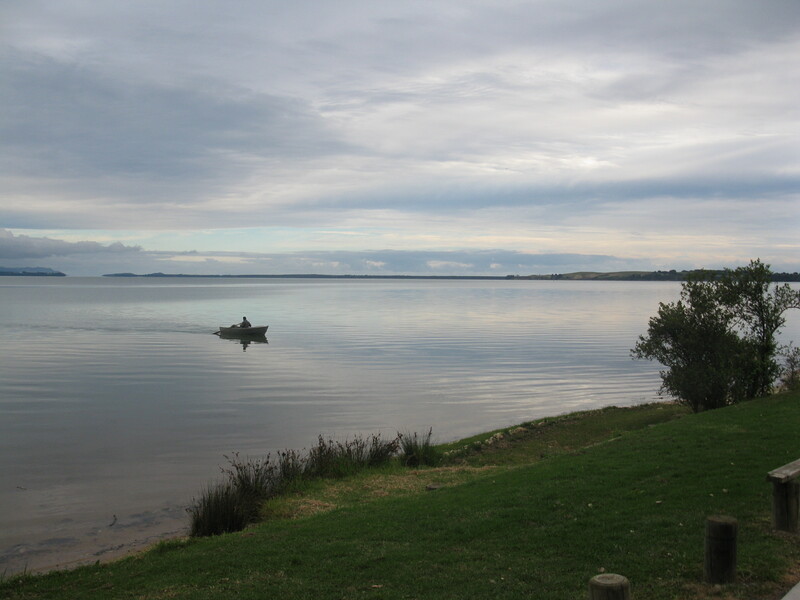 He came back to shore as dusk fell but at 7am next morning he was back in his rowing boat…. I took this photograph from the comfort of my bed in the bus (where I am more than happy to be at 7am on a public holiday). Then I sat back with my coffee and listened to the beautiful sounds of Pahoia. We covered almost all of NZ, but missed the Bay of Plenty. 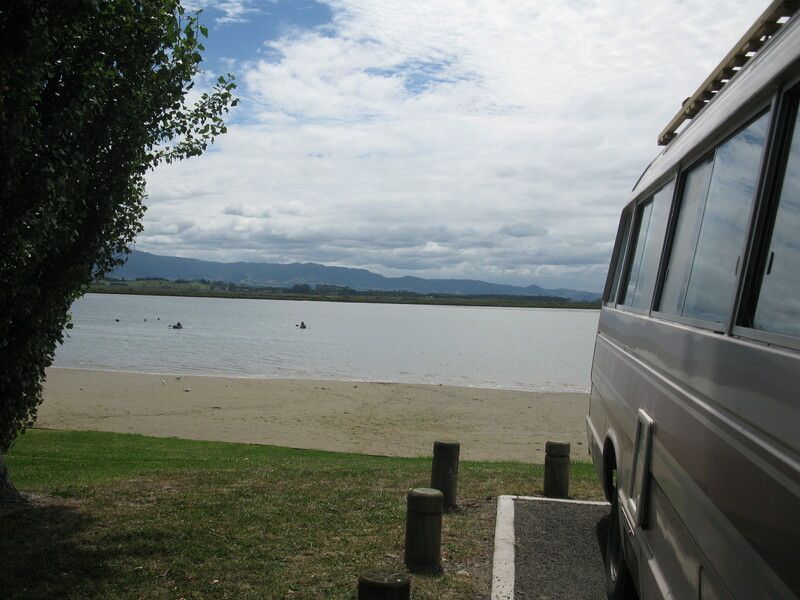 Sooo wish we could have had a Kayak on the top of our camper van, but just didn’t have enough time. Living vicariously through your pics. I know what it’s like to travel but not have enough time to get everywhere you want to. Unfortunately there is always something unattainable due to lack of time or funds!